1969 was the second year for the C3 generation corvette. It was the last year for no fender flares, the 3 speed manual transmission. option, and the L71 427/435hp, L88 427/430Hp, and L68 427/400Hp engine options. 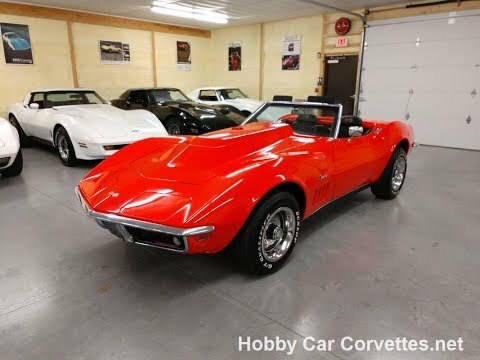 This was the first year that the T-top corvette out-sold the convertible with 22,129 T-tops being built and only 16,633 convertibles being built.